Many of the knives I make are a result of a custom order. If you like my style and would like to have a knife custom made per your specification please give me a call and we can discuss options and pricing. At this time, I exclusively focus on blades made of high carbon steels. This allows me to hand forge the blades to shape and then perform my own heat treating. I test each blade to ensure that it meets my performance expectations prior to ever putting a handle on them. I most frequently use 5160 and 1095 in my blades. Although used less frequently, I can also use O-1, W1, and 52100 as well as other high carbon tool and spring steels. There are a variety of handle configurations available. Stick tang and full tang; natural or stabilized woods as well as synthetic and cord wrapped handles are available. Give me a call and we can put together the knife you’ve always wanted. My contact information page is linked in the above menu. I craft my own leather and kydex sheaths for my knives. There are many different carry options, styles, and colors. 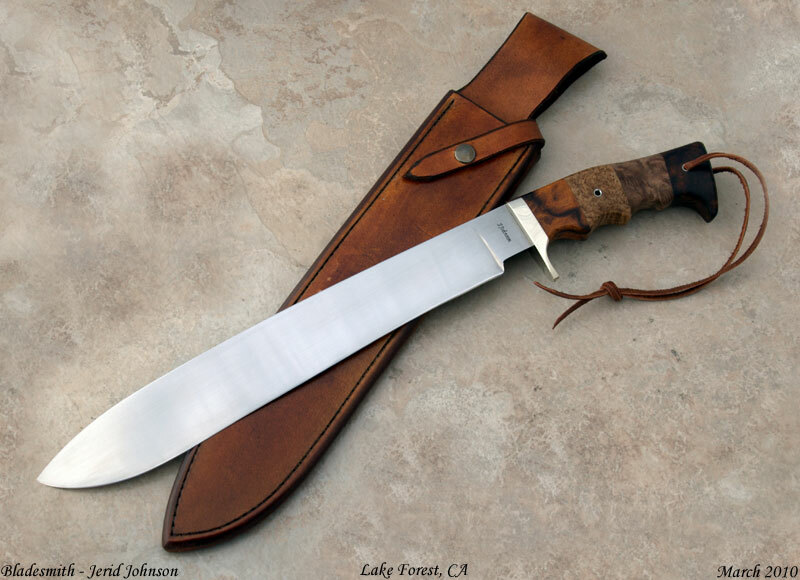 I like to give the buyer the ability to choose what type of sheath they want for their knife. 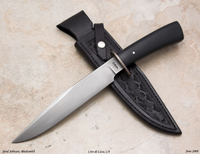 I can also craft sheaths for existing knives you may already own. 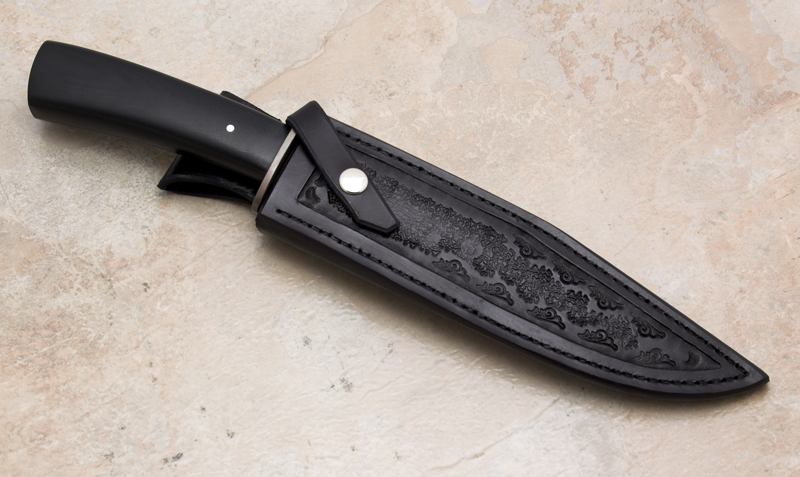 If you are interested in having a custom sheath made please email or call for a quote. Please note that I will need the knife to make custom leather for it.